The Japanese Dual Language Program (JDLP) at PS 147 is the first and only public Dual Language education program in Japanese in New York City! 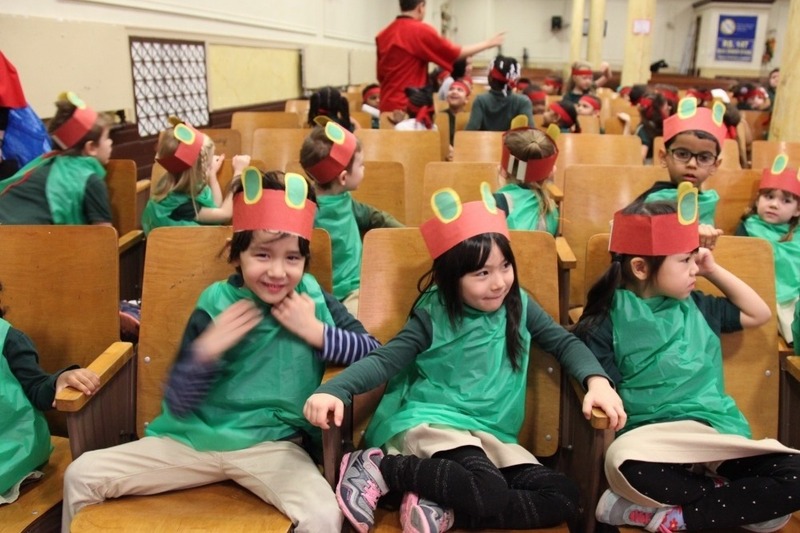 Located in Bushwick, Brooklyn, the program draws families with Japanese speakers, who learn alongside students from diverse racial, ethnic and linguistic backgrounds. Through the tireless efforts of this program's talented and creative teachers, as well as the parents who help run the program, the JDLP has produced projects like the above video that allow the students to engage in learning Japanese in a more holistic and interactive way. Our innovative program has gotten the notice of The Japanese Consul General, The Japan Society, The Japan Foundation of LA and other programs of note. We have also been honored to welcome First Lady Akie Abe of Japan to our school -- twice! This program's main mission is to provide both Japanese and non-Japanese-speaking students with the opportunity to support each other in learning language and literacy skills in both languages. Our vision is that our students will be global citizens and will embrace friends of all backgrounds through learning from one another. We believe that in promoting multicultural education and exposing students to new cultures and ideas, we are helping to create opportunities for all of the students we reach. Although we are a young program - only 4 years old - our enrollment is growing in numbers, and we we plan to widen our scope and spread the appreciation for the Japanese language and culture throughout the entire PS 147 community. Your donation will help us hire additional staff, pay for materials and support programming that will allow the JDLP to hire staff for the coming school year to accommodate our growing numbers. We also believe that we have a responsibility, as members of the student body of PS 147, to share the opportunity to learn about Japan with all students, not only those in the program. Therefore, we will be using funds raised to provide enrichment beyond the students in the Japanese program. Please consider donating to our program and supporting bilingual and multicultural education in Bushwick, Brooklyn. Your support means the world to us, and could mean a lot to the world!! !